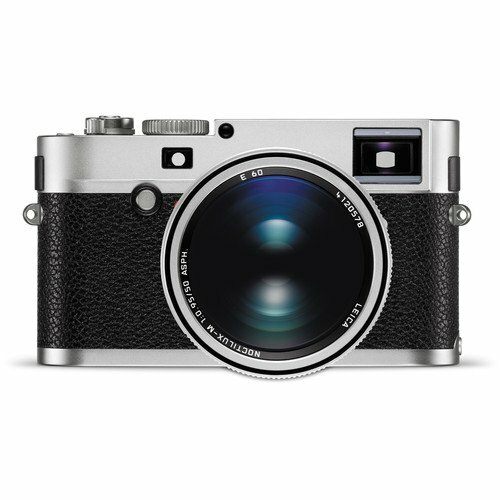 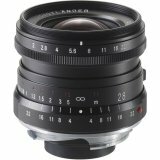 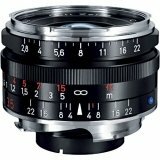 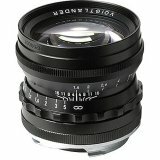 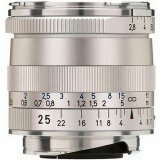 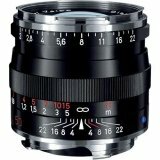 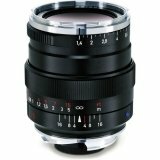 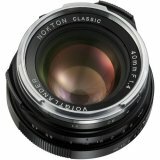 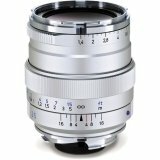 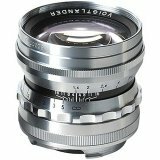 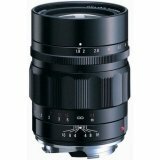 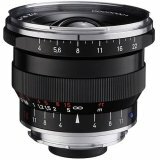 Offering an incredibly unique rendition and speed for the Leica M mount, the silver Noctilux-M 50mm f/0.95 ASPH Lens from Leica is a specially designed optic with exceptional depth of field control. 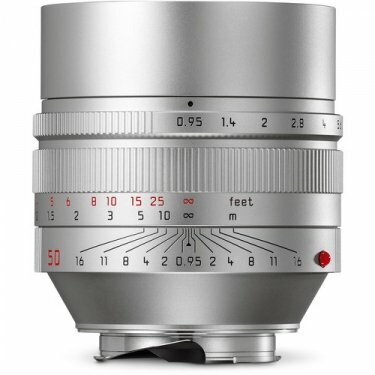 The lens' optical design uses a total of eight elements in five groups with five partial dispersion lenses for controlling color defects while three lenses are highly refractive for controlling distortion and spherical aberrations while keeping the design compact. 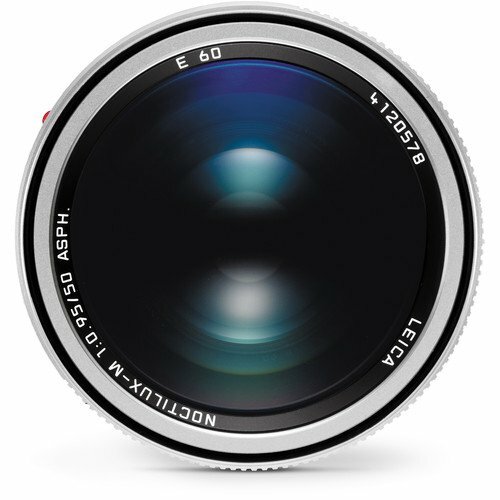 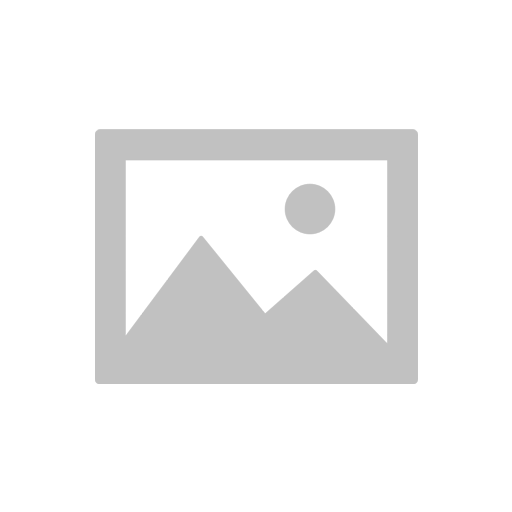 Additionally, two of the surfaces are aspherical and a rear floating element is able to dramatically improve the close-up performance of the lens throughout the f/0.95 to f/16 aperture range. 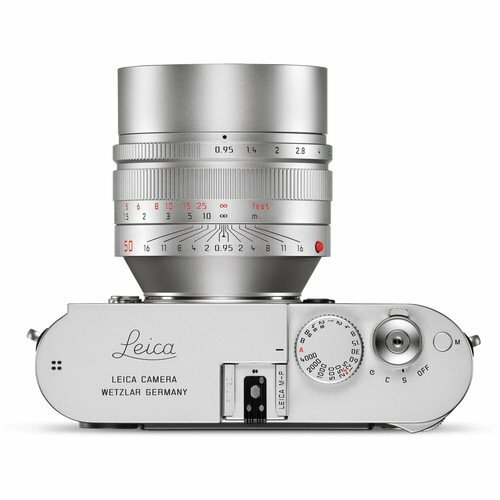 The lens features Leica's 6-bit coding for sending metadata to digital M cameras, allowing for proper frame lines to be shown as well as proper digital correction of lens aberrations to be done in-camera. 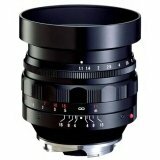 The lens also has a minimum focus distance of 3.3' and an extendable lens hood to limit flare. 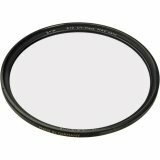 Additionally, 60mm filters can be used with the use of an accessory holder.